EXECUTIVE SUMMARY: Israel has gradually come to realize that the Palestinians are neither a partner for peace nor capable of establishing a viable state. Therefore, Israel's recent governments have adopted a de facto conflict management approach, rather than a conflict-resolution strategy. This prompts several questions. 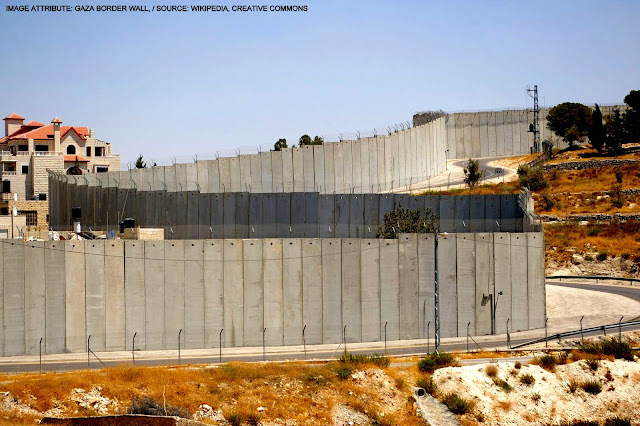 Should Israel speak explicitly about the dim prospects of a two-state solution, or play along with the illusory preferences and pretensions of the international community? Should Israel apply more “stick” than “carrot” to the hostile Palestinian Authority? Would the collapse of the Palestinian Authority serve Israel's interests? And how diplomatically active should Israel be on the Palestinian issue? Ever since the Palestinian terrorist wave began in September 2000, the Israeli body politic increasingly has resigned itself to the probability that there is no partner on the Palestinian side with which to reach a historic compromise with the Jewish national (Zionist) movement. The hopes for peace that were generated by the Oslo process in 1993 have been replaced by the stark realization that violent conflict will not end soon. Moreover, the hostile messages about Israel purveyed in the Palestinian Authority (PA) educational system and official media leave little doubt about the rabid anti-Semitism prevalent in Palestinian society, which ensures that conflict with the Jews will continue. And thus, the central premise of the Oslo process seems exceedingly improbable. The premise was that partition of the Land of Israel and the establishment of a Palestinian political entity (what is known as the two-state paradigm) would bring peace and stability. Alas, this paradigm has been deeply discredited. 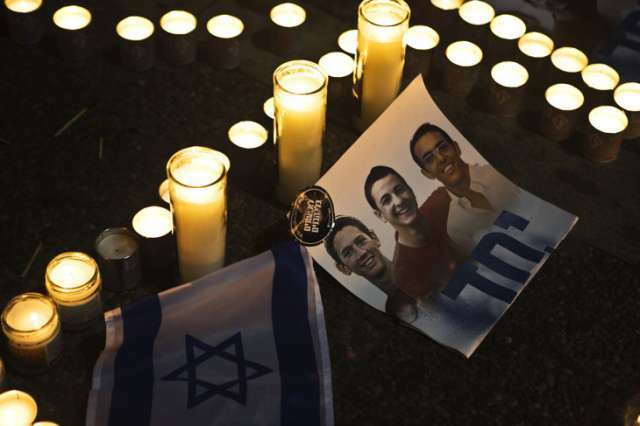 Image Attribute: A candle-light vigil for the three murdered Israeli teens in the year 2014. Aside from and beyond the assessment that the PA has no intention of accepting a Jewish state in any borders, the fact remains that the two sides remain far apart on most of the concrete issues to be resolved. Palestinian demands for control of the Temple Mount and the so-called “right of return,” for example, are insurmountable obstacles. Any pragmatic impulse that might otherwise have emerged in Palestinian politics is consistently countered by Hamas, whose growing influence reflects the Islamist tide that is surging across the wider region. To make matters worse, the assumption that the Palestinians are capable of establishing a state within the parameters of a two-state paradigm has not been validated. The PA was unable to get rid of multiple militias and lost Gaza to Hamas, mirroring the inability of other Arab societies in the region to sustain statist structures. Finally, protracted ethnoreligious conflicts end only when at least one of the sides becomes war-weary, and runs out of energy for sustaining the conflict. That is not true of either Israeli or Palestinian society. As a result of these trends, Israel essentially, if not formally, has given up on conflict resolution in the short run, and instead effectively has adopted a strategy of patient conflict management. But such a strategy brings policy dilemmas of its own. The first dilemma is whether or not to admit that Israel no longer believes that negotiations can lead to a durable agreement in the near term. Truth has its virtues, but much of the world does not want to hear this particular truth and is still committed to an unworkable formula. There is, in any case, something to be said for acceding to the wishes of the international community by continuing to participate in negotiations. Doing so signals that Israel is ready to make concessions, which maintains the domestic social cohesion necessary for protracted conflict (management) while projecting a positive image abroad. On the other hand, negotiations toward the doubtful “two-state solution” keep a fictitious formula alive and prevent fresh thinking about alternative solutions from emerging. Moreover, the “peace process” requires moderation, which entails swallowing Palestinian provocations and restraining punitive action. A second dilemma is related to the “carrot and stick” approach toward the Palestinians. In the absence of meaningful negotiations, Israel, particularly Prime Minister Benjamin Netanyahu, has advocated the promotion of “economic peace” as a part of conflict management, on the assumption that Israel has nothing to gain from hungry neighbors. This is why Israel does not oppose international financial support for the PA, despite the corruption and inefficiency of the latter. Jerusalem also provides water and electricity to the PA, and to Hamas-ruled Gaza, so that Israel’s Palestinian neighbors do not dive into total desperation. But the carrot mitigates the impact of the stick. The Palestinians, it must be recalled, wage war on Israel. Exacting pain from opposing societies is what war is all about, and pain can have a moderating effect on collective behavior. Egypt, for example, decided to change course with regard to Israel because it grew reluctant to pay the costs of maintaining the conflict. Since the Palestinians have chosen to pursue their goals by causing Israel continued pain – rather than by accepting generous peace deals offered by Ehud Barak (2000) and Ehud Olmert (2007) – Israel has every right to punish them, in the hope that a bit of pain might influence their future choices in a productive direction. But by adopting an “economic peace” approach, Israel creates disincentives to Palestinian moderation and signals its desperation at the prospect of changing Palestinian behavior. A third dilemma implicit in the conflict management approach is what to do about the hostile PA, which survives largely because of Israel’s security measures and economic backing. The collapse of the PA is one possible outcome of a succession struggle after Mahmoud Abbas leaves the political arena. Whether or not the collapse of the PA is desirable is debatable. On the one hand, the PA propagates vicious hatred toward Israel in its educational system, conducts an ongoing campaign of international delegitimization against Israel, and denies Jewish links to the Land of Israel and to Jerusalem in particular. It glorifies terrorists and allows them to be role models in its schools. It deliberately reinforces the hostility that fuels the conflict, preventing the emergence of a more pragmatic Palestinian leadership. On the other hand, the PA conveniently relieves Israel of the burden of responsibility for more than one million Palestinians living in the West Bank. PA security forces help combat Hamas influence in the West Bank (although far less than the PA is given credit for). The functioning of the PA, however imperfect, also keeps the Palestinian issue off the top of the international agenda – something that is very much in Israel’s interests. A descent into chaos resulting from the total collapse of the PA would invite international intervention. An additional question for Israel to consider relates to the appropriate level of diplomatic activism on the Palestinian issue. Many advocate Israeli diplomatic initiatives in order to prevent unfavorable plans from being placed on the agenda by global actors. The nature of such initiatives is usually unclear, but activism is part of the Israeli Zionist ethos and “taking initiative” appeals to the impatient Israeli temperament. On the other hand, a patient wait-and-see approach allows others to make mistakes and gives Israel the latitude to wait on a more favorable environment. In fact, this was the approach favored by David Ben-Gurion. He believed in buying time to build a stronger state and in hanging on until opponents yield their radical goals. Each of these dilemmas leads to a policy gamble. The short-term existential security imperatives of a small state further complicate Israel’s choices. Even if Israel’s leaders are correct in opting for a conflict management approach for the moment, they are in an unenviable position. Dr. Efraim Inbar, Director of the Begin-Sadat Center for Strategic Studies, is a professor emeritus at Bar-Ilan University and a fellow at the Middle East Forum. BESA Center Perspectives Papers are published through the generosity of the Greg Rosshandler Family.